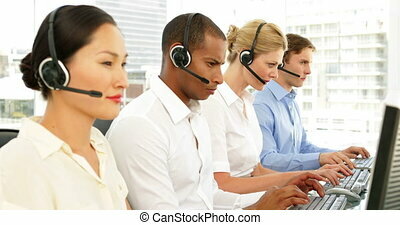 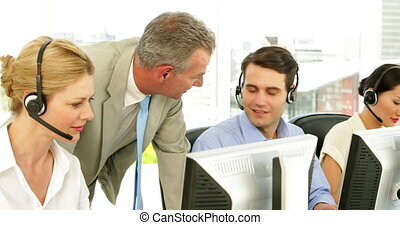 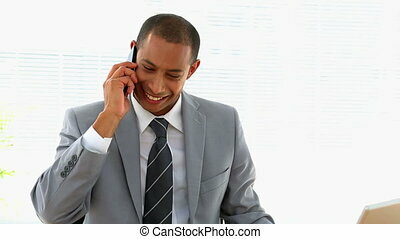 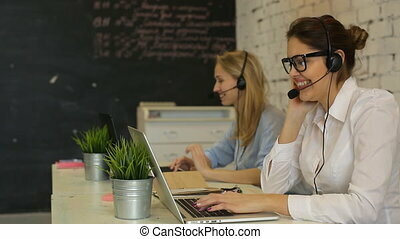 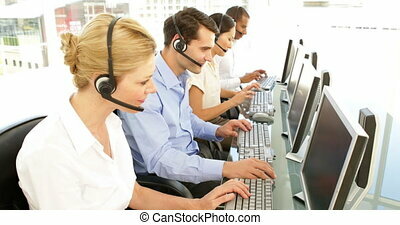 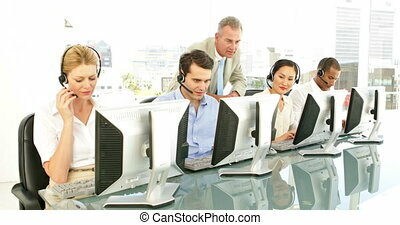 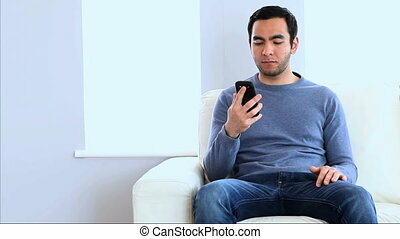 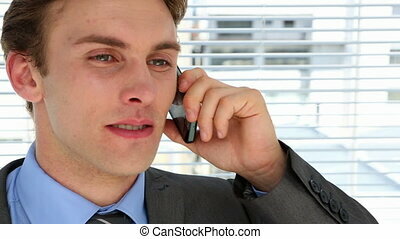 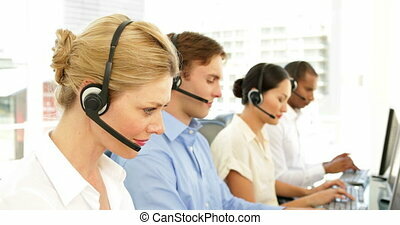 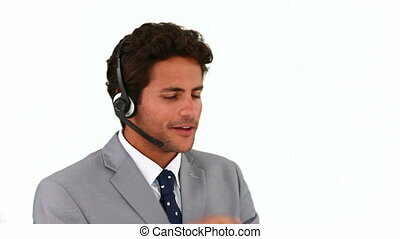 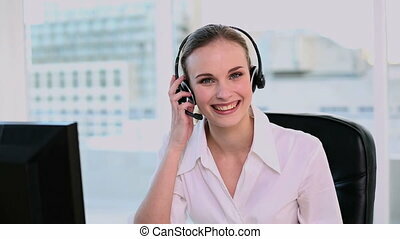 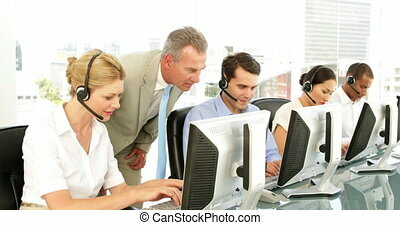 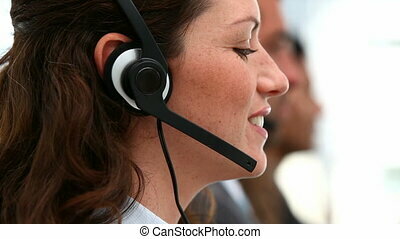 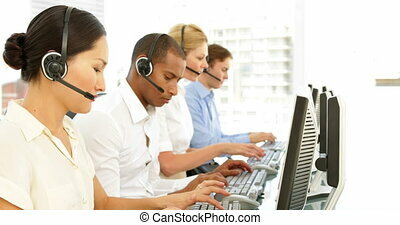 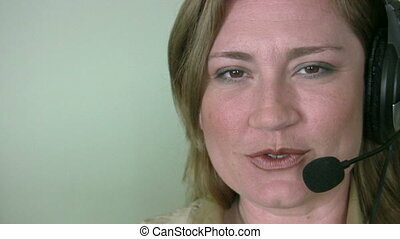 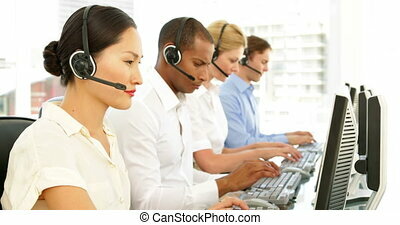 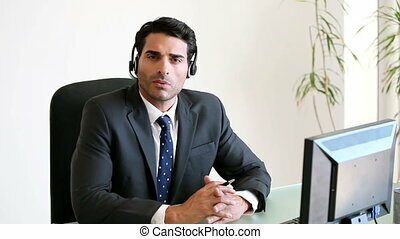 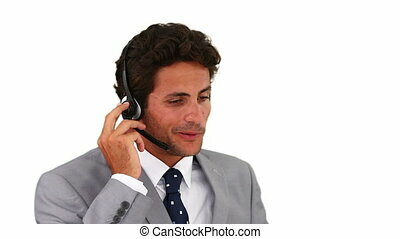 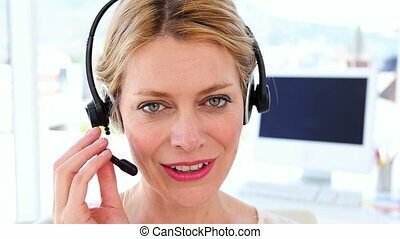 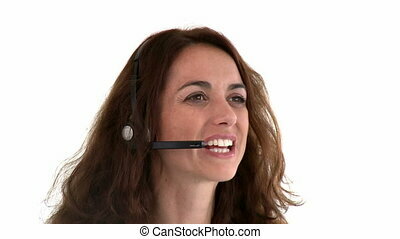 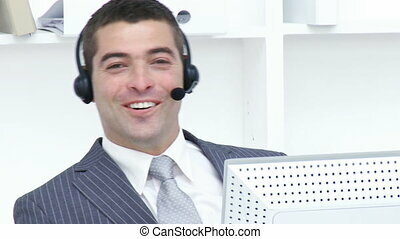 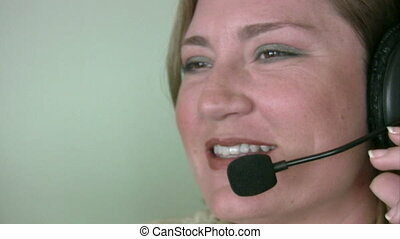 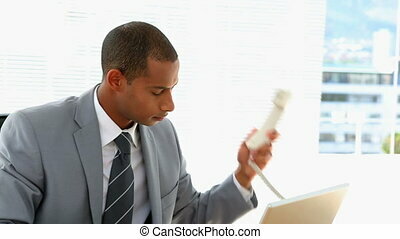 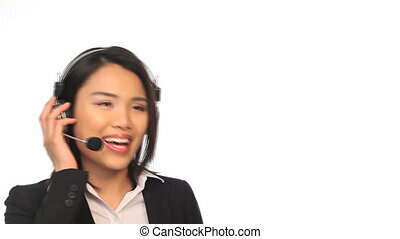 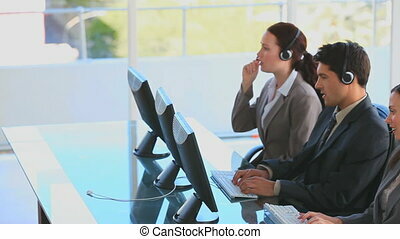 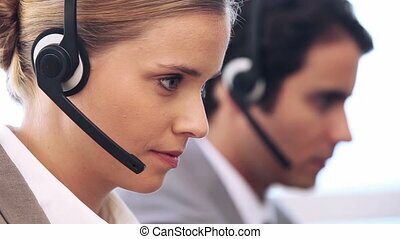 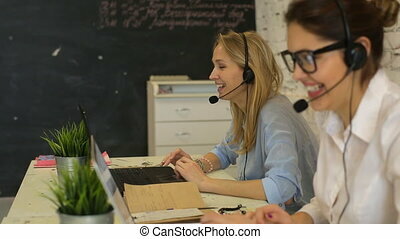 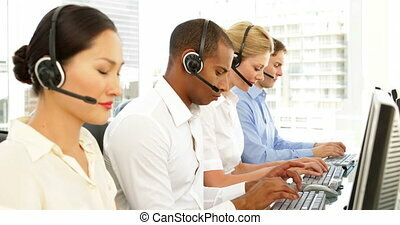 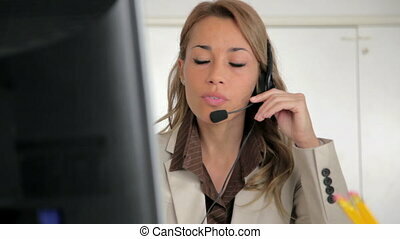 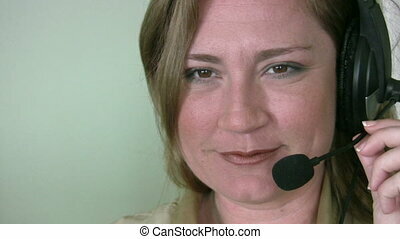 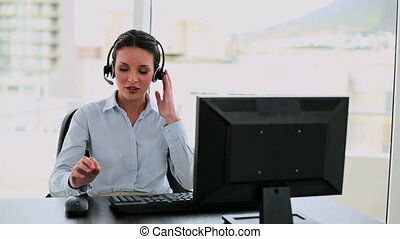 Call center agent on a call. 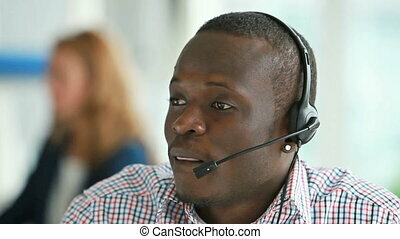 Call centre agent on a call at the office. 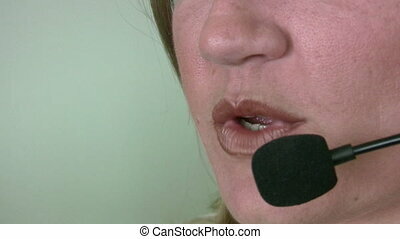 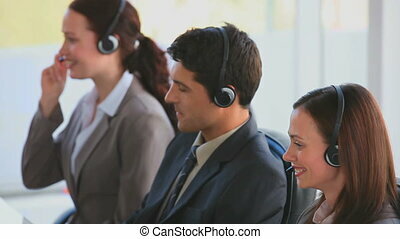 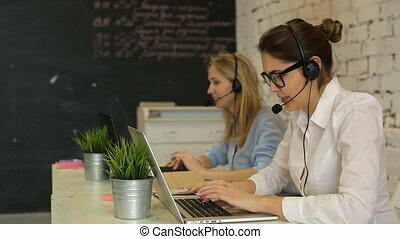 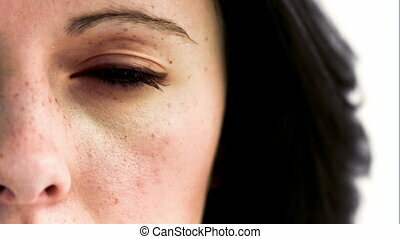 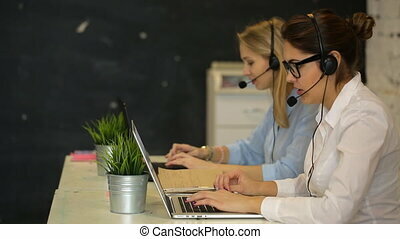 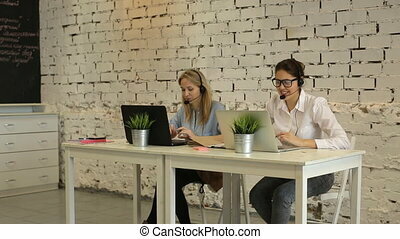 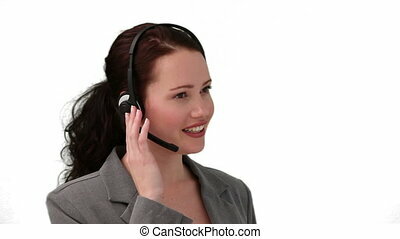 Multiple shots of mid adult woman with headset talking on the phone in call center.